Don’t get me wrong. I absolutely LOVE the Harry Potter movies. They brought the wizarding world to life. They made me laugh, made me cry, made me angry, made me smile. The acting is well done, the special effects are Oscar-worthy, and it is pure heaven. Nevertheless, there are things about the movies that I do not like at all. The things I don’t like all have to do with what was and wasn’t included in them. Adaptation of a movie from a book is hard to do, especially with a 500 page book. However, there were things that really messed with my mind and annoyed me. There were things I felt were important to many key story lines that did not make the final cut. So, this post will be me ranting on a few of the things I wished they had done. If you don’t like ranting, you can leave. If you agree with what I say, or have some things you’d like to add that I did not mention, please feel free to comment! Harry Potter’s worst critics are the fans themselves. And I am one big fan. Let me start with one of the biggest things that bugged me. Movie: Harry Potter and the Deathly Hallows: Part 2. Scene: The trio are on the bridge after the Battle of Hogwarts. Complaint: Okay, what do all the powers that be not get about wizards not being able to be wizards without a wand?? Wizards need wands. Wands need wizards. IT’S A TWO-WAY STREET. Harry was the owner of the Elder Wand. In the movie you see him break it, and throw it into the ravine. Yes, okay, he does that in the book. BUT, there is something VITAL he does beforehand! Remember when Hermione broke his wand in Godric’s Hollow from a rebounding spell??? Yeah, IT’S STILL BROKEN! 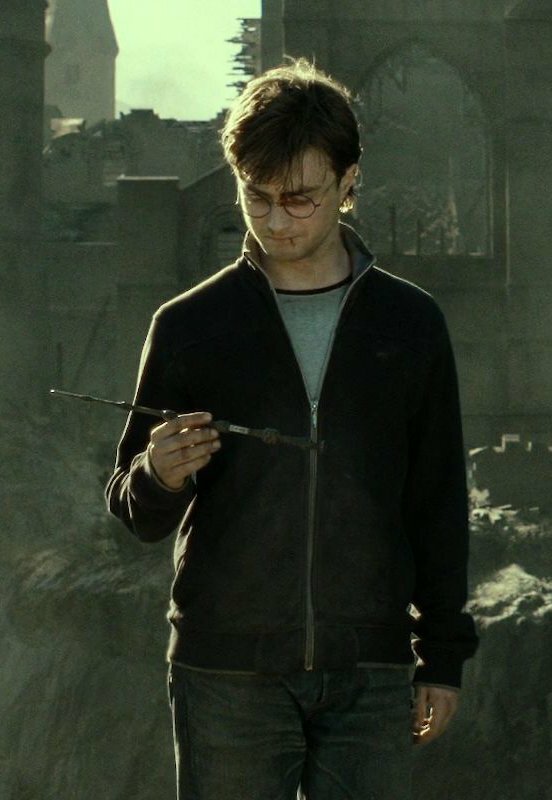 In the book, Harry uses the Elder Wand to mend his own, because it was the wand that chose him, and he will only be his best with the wand that chose him. The Elder Wand, since it is the master of all wands, was the only way he could fix his wand. So tell me, why, in the movie, do we not see him mend his wand before destroying the Elder Wand? This implies that he no longer owns a wand. Obviously, us Harry Potter fans that have actually read the books, know he mends his wand, breaks the Elder Wand, and goes on with his life as a wizard. In the movie, the scene implies that he does not have a wand, therefore he can’t really be a wizard. Which is bad, considering he becomes an Auror! It’s hard to be an Auror without a wand. Actually, you most definitely can’t be an Auror without a wand. It’s impossible. The first time I saw this movie, I noticed that mistake RIGHT AWAY. So much, I had to whisper angrily to my friend two seats down about it. She just shushed me so she could watch the movie, which I understand, but man, I was annoyed. Nearly two years later, and I am still very annoyed. It’s simple wizard logic, and all the people that contributed to the movie either did not notice, or just didn’t think it was important. 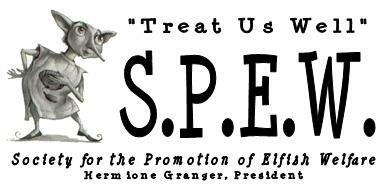 I hope to Albus Dumbledore (may he rest in peace), that they have realized the mistake they made. What it was supposed to be like. safe. But then Ron is like, “What about the house elves?” And Hermione looks at him, and in that moment, she drops the basilisk fangs and runs into his arms, and plants a kiss on his lips. 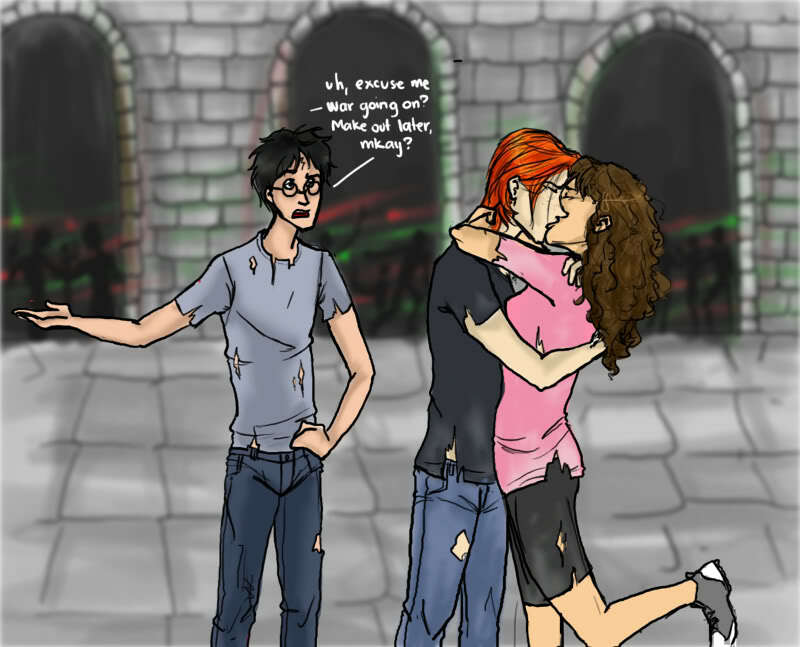 They start making out, and then Harry (who is always the awkward third wheel), is like, “Oy, there’s a war going on here! !” And Ron’s like, “Sorry, mate. It’s now or never.” And Hermione is smiling and blushing. A PERFECT MOMENT. A PERFECT KISS. Now, why oh why could they not do that in the movie? I don’t know their reasons, but seriously, I don’t know if they tried to make it more convenient for them, but it was not right. I had been waiting for this moment for FOUR YEARS. And it was completely wrong. 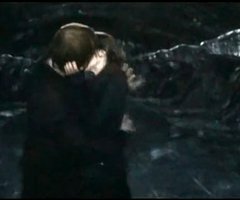 Not to mention, the kiss they did in the movie, Ron’s head was devouring Hermione’s. No. Like I said in the beginning, just no. No no no no no no no no no no. Those are the three biggest things that annoyed me from the movies. I think that is enough rant for one blog post, so I will finish here. But like I said in the beginning of this post, you are most welcome to do your own rants in the comments below. I encourage it!